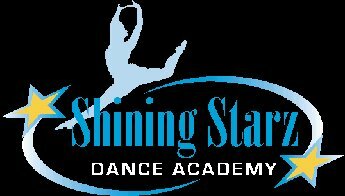 Thank you for your interest in Shining Starz Dance Academy! Classes start Saturday, September 15, 2018. If a class you want is closed, please put yourself on the wait list. Space may become available at a later date. PLEASE NOTE: YOU MUST COMPLETE THE ENTIRE CHECKOUT PROCESS AND RECEIVE A CONFIRMATION EMAIL IN ORDER FOR REGISTRATION TO BE ACCEPTED. (Even if there is a zero balance due) THE SYSTEM WILL AUTOMATICALLY DROP ALL REGISTRATIONS NOT COMPLETED IN FULL AND PAID BY MIDNIGHT. THANK YOU! A non-refundable registration fee is due upon registration ($25 Individual, $40 Family). If choosing to pay monthly, first and last month tuition balances will be due on Sept 1. Early Pay Discount: 5% off tuition if paid in full BY CHECK ONLY by Sept 1. Please contact the studio if you wish to pay annual tuition in full for a discount. All Age/Grade requirements must be met by September 1 to register. Age 3 may only take 1 class, Ages 4 - 7 may not register for more than 2 individual classes during the year, & no more than 3 classes for those ages 8 and older. Staff pre-approval is needed for students to be placed in additional classes than listed above. We reserve the right to limit classes based on current progress and behavior in class, as well as move a child to a different class based on ability. Contact the staff prior to registering if you are unsure where your child should be placed.